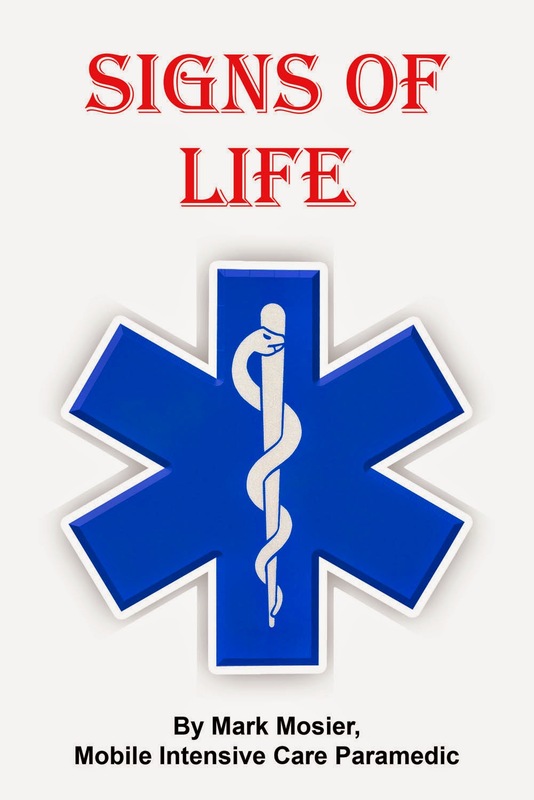 Signs of Life by Mark Mosier is a book that takes you on a journey that changes the way you see emergency medical services, the role of their staff and your interacts with the world around you. Mark Mosier is a paramedic with over 30 years experience. In Signs of Life he shares his real life call outs and experiences. You travel with Station 4 as they attend different situations ranging from car accidents, drug overdoses, suicide and child related incidences. This book takes you on one hell of a ride. Mark Mosier writes ‘ No two calls are ever exactly the same: the sights, the sounds, the smells, the emotions, the outcomes.’ No two chapters within Signs of Life are the same. Each one takes you on a new call out and a new journey. With each chapter you gain a little more respect for the men and women of our emergency medical services and learn a lot more about the way they work. Each chapter introduces you to a new medical term and a new piece of equipment they use. Signs of Life is more than just a book, it is a learning tool and a resource. Within the chapters Mark Mosier has include photographs and explanations of the ‘tools of the trade’. He walks the reader through the use of tools such as the LifePak 12, Cricothyrotomy Kit and explains medical terminology such as cyanosis and myocardial Infarction. The back of the book contains a glossary for easy reference on all terminology. Although based in the U.S this book should be read worldwide. There is little difference between emergency medical services worldwide. The goals of all are that of saving lives and the care of the patient being of top priority. Although living in Australia I was able to relate to all the scenarios, being similar to those seen in the media on a daily basis. I read from page to page amazed at the care and professionalism of the men and women of the emergency medical services. On a daily basis I have never really given much thought to the job of our emergency medical services, just taking it for granted that they would be there if I needed them. It made me realise how we way too often go about our day giving no thought to our actions, no appreciation for the life we are given and with no realisation that at any moment in time we could be find ourselves, or a loved one, fighting for their lives. For me my thought processes have changed for good. Are you prepared should you, or a loved one, need the help of our emergency teams. How are you going to help them? In Signs of Life Mark Mosier speaks loud and clear about the importance of medical bracelets and the information they provide that helps paramedics help you. Medical bracelets were something I always intended to get for my family but something I placed no real importance on so it kept getting put off. This changed after reading Signs of Life and my children now have bracelets. Signs of Life also had me thinking about how I would cope in an emergency. Am I emergency ready? How can I prepare my children for a medical emergency? Would they know what to do should something happen to me? Accidents happen, they are part of life, but we can be as prepared, and accident smart, as possible so that when they do occur the outcome is better. Signs of Life by Mark Mosier is an amazing journey. This is a book that should be a compulsory read. A book that should be read and discussed in higher secondary school and a book that should be shared amongst families. For those considering a field in the emergency medical services or those who are currently in training Signs of Life by Mark Mosier will lead the way.